Scooby-Doo always seeks for challenging adventures and he have some. This time he didn't want to do anything, but adventures found him first. 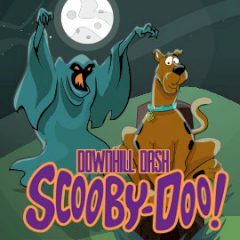 Well, it's time for some downhill dash. Collect packs and food to prolong your journey!